Lagos is a fantastic beach resort that is situated on the western edge of the Algarve and is surrounded by a stunning coastline. 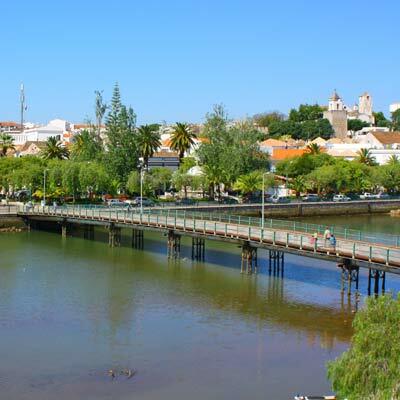 Tavira is a charming and traditional fishing town that is the best resort town on the eastern side of the Algarve. 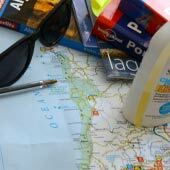 This guide will detail how to travel from Lagos to Tavira with an emphasis on the use of public transport for the journey. 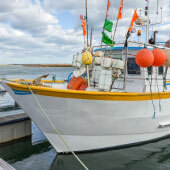 Tavira is situated approximately 100km to the east of Lagos and has both good road and rail connections. The journey by car follows the toll A22 from junction 1 to junction 16 and takes approximately 1 and a half hours. The non-toll route follows the N125 and takes and extra 20-40 minutes depending on traffic. Tavira is connected to Lagos by both bus and train services. 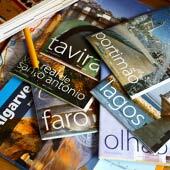 The bus routes are non-direct and usually require a connection at Faro. Train service are less frequent than bus departures but there is always space on the regional trains and train travel is more relaxing. 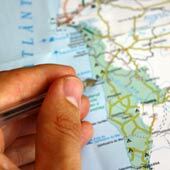 The distance between the two towns makes it impractical to visit either as a day trip. 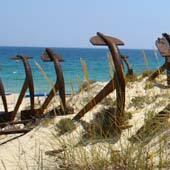 In summary, rail travel between Lagos and Tavira is the recommended means of travel and will be discussed in detail for the remainder of this guide. The train journey takes around 2 and a half hours, depending on the service which is caught. An adult single ticket costs €9.30 (correct summer 2014), there is a discount for pensioners (50% of marked price) and under 25s (25% discount) with valid ID. 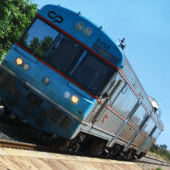 The railway which connects Tavira and Lagos is the regional line which extends the length of the Algarve. As this is a regional service tickets cannot be pre-booked and there is no need as there is always space on all services. 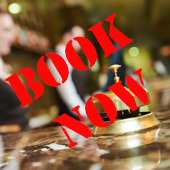 It must be noted that services from the Algarve (Faro or Tunes) to Lisbon must be reserved and this is accomplished by booking at a railway ticket office. 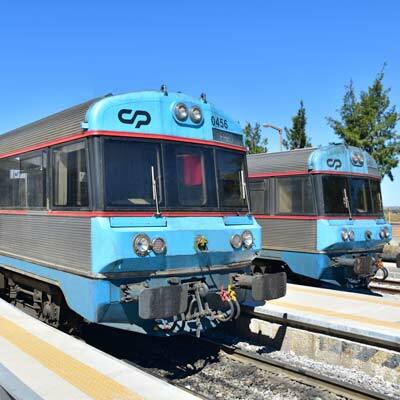 Tavira to Lagos train tickets must be purchased from the ticket office but can be bought from the conductor if the office is shut. 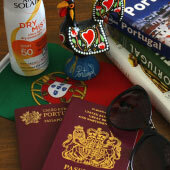 Train travel along the Algarve railway is safe and this includes the late night trains. Faro is a connection station along the route, with some trains continuing directly on to the destination and others requiring a transfer. The guard will make this clear and most other fellow passengers will know. There is no trolley service on the trains so make sure you have suitable water and/or food for the journey. All trains have air conditioning. Lagos train station is in a fancy new building but could be classed as a small train station, with a ticket office and other basic facilities. The station is located on the eastern side of the estuary and it is only a very short walk to central Lagos, a taxi is not need to reach the city centre. 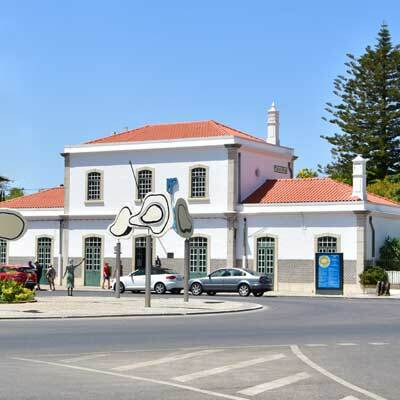 Tavira train station is much smaller with the ticket office open during office hours only. The station is located on the western side of the town, approximately 1km from the centre. The walk is downhill from the station but is along cobbled streets, not ideal for heavy luggage. The small size of the station means that taxis will not be usually found outside of the station and if one is require it should be phoned for.